He was born in 1906 in Kangeyanallur near Vellore as the fourth child of Malliah Das Bhagavathar and KanakaValli. He had eleven siblings. Variar's father gave him the knowledge and wisdom. He taught him literature, grammar, and music at home itself. Variar learnt veena from Brahma Śrī Thenmadam Varathachariar. He got the skill of writing poems (in "Venpā" style) at the age of eight. He got 10,000 songs by heart by his 12th year of age. Until death, no song was forgotten. Annamalai University awarded him an honorary doctorate. The University of Thanjavur named him as Ilakkiya Muthu munaivar. Maha Periyavar of Kanchi Mutt appreciated him as Saraswati Katakshamirtham. Every one saluted him as Arul Mozhi Arasu. There is no count of the awards that Variar has received. However, Variar has never gone to a school to study. As a child, he used to go to the river Pālār every day to bathe.He would take rice from his mother, and he would look out for places where there were ant hills, and would feed them as he walked. His father did not know initially that his was son went to various places to deliver spiritual discourses. It seems that Variar paid off the loan of Rupees 5,000 that his father had taken to complete the construction of the Raja gopuram (temple tower) for the Murugan temple at Kangeya Nallur. Only after that his father knew and he appreciated Variar. Swamigal (Variar) belonged to the Veera Saiva community and wore the Shivalingam around his neck when he was five years old. 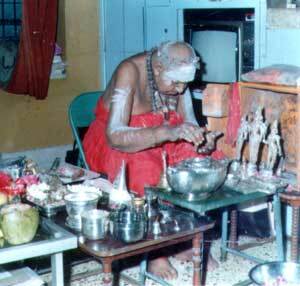 Right from 1936, everyday he took food only after completing the puja to Murugan. Variar married his uncle's daughter Amirtha Lakshmi when he was 19 years old. Due to his practice of brahmacharya (celibacy), there were no children. It was Variar who wrote the dialogues for the movie "Sivakavi" which ran full house for more than one year and in which Thyagaraja Bhagavathar acted as the hero. Even during travel out of town, he had the habit of taking the puja box along with him. He did puja continuously for 57 years without a break of even a day. MGR (M.G. Ramachandran ex-Chief Minister of TamilNadu/actor) had many titles but the one used by many is Pon mana Chemmal (means "The noble man with the golden heart"). It was conferred to MGR by Variar himself. Variar had come to Vellore for a discourse. A certain group had put up sarcastic posters that "Krupananda Lorry" has come. By chance, Periyar EV Ramasamy (who was a non-believer) happened to hear the discourse of Variar through the window of the house where he had stayed. After listening, Periyar ordered his followers, "Variar is also in the service of improving the society and growing Tamil culture. How can (we) make fun of him? Remove the posters immediately!" Variar has written about 200 books on Tiruppugazh, Mahabharatham, Kamba Ramayanam, Kantha Puranam, Periya Puranam etc. Reading them all, is very similar to listening to Variar's actual discourses. Variar used to say, "I do not know what indigestion is. I keep in memory what a Muslim gentleman told me: 'He will not get sick Whose hand enters the mouth after he is hungry and Whose hand does not exit the mouth before hunger is quenched'." Variar set the Ramakrishna home in Tiruparaithurai by raising 27 Lakhs rupees through donations (about US$60,000). It is now a refuge for children without support. He established a primary school, middle school, girls high school, and a boys high school in Kangeya Nallur where he was born. He did any request for help from schools. Using his personal funds, he formed "Variar public service fund trust" to help poor people, students, widows and those in need of medical help. During the discourses, Variar had the habit of encouraging children who answered his questions by calling them to the stage and presenting them with books. If the tidal waves of atheistic propaganda which swept the shores of Tamilian traditions and tried to erode the minds of the public a decade ago can now be said to have been halted, the success must be attributed to our religious leaders, scholars and exponents of classics. What could not be achieved through institutional efforts was accomplished by individual endeavours. Among the large band of front-ranking evangelists who still continue this crusade against ignorance and irreligions, is Śrī Kripananda Variar. This 59-year old Tamil pandit and ardent devotee of Lord Muruga, spends daily on an average three hours in expounding the great epics before mammoth gatherings, travels more than 200 miles to meet and discuss with people, runs one of the best magazines exclusively devoted to religious subjects (ti has just completed 30 years of uninterrupted existence), replies to hundreds of queries about matters pertaining to religion and allied topics and conducts research into various aspects of theology -- all these in addition to the minimum of two hours he spends in puja to Lord Subrahmanya. In his musical discourses he brings out intricate philosophical truths in a lucid and racy style, illustrating it with parables, short stories and personal anecdotes. Interspersing his homilies wiht copious humour, he covers a wide range of topics touching on current politics as well, and making subtle digs at those who deride all that they consider odl and ancient. Ramayanam, Mahabharatam and Skandam are his fortes, though he lectures on several other works with equal eloquence. Hailing from Kangeyanallur near Vellore from a family of Tamil scholars, Śrī Kripānanda Vāri is one of eleven children of Mallayyadas Bhagavatar. Helearnt the rudiments of Tamil history under his father, showing evidence of precocity by composing poems at the age of five and giving a discourse before an audience at the age of nine. He had no formal schooling.  Today he is held in deep respect by men of letters, who consider him an authority in Saivite literature. Even while young, Śrī Kripānanda Vāri embarked on a programme of service to humanity by giving discourses. Married at 19, he moved to Madras, where he continued his study, lectured to enlightened audiences and learnt veena under Thenmadam Varadachari. Later he received initiation at the hands of the great savant Śrī Eesana Sivacharya and mastered Tiruppugazh through Madurai Tiruppugazh Sami Aiyar. He also made a deep study of Tirukkural, Tēvāram and other classics. Śrī Kripānanda Vāri's sole aim is to preach religion and utilise his talent and resources to help poor students, educational institutions and temples. The temple at his birthplace is today a showpiece of art. He took a leading role in several religious works such as construction of towers at Vayalur and Kosapet (Madras) and reconstructing the temple at Mohanur. He has also helped in the collections of funds for the renovation of the Madhavaperumal Temple in Mylapore, the Śrī Balasubramania Swami Temple (Teynampet) and the Muruga Temple in Valli Malai. Among his recent projects of reconstruction are the Kosapet temple tank and the Samayapuram Mariamman Temple. It was at Vadalur, the headquarters of Jothi Ramalingaswami, that Śrī Kripānanda Vāri founded the journal Tiruppugazhamirtham. In its inaugural number he dedicated an elaboration of the verse Kaithala niraikani which he still uses as invocation at discourses. He rebuilt the Sathya Gnana Sabha at Vadalur and completed the task of founding a seat of learning there by 1950, collecting rupees four lakhs for the purpose. 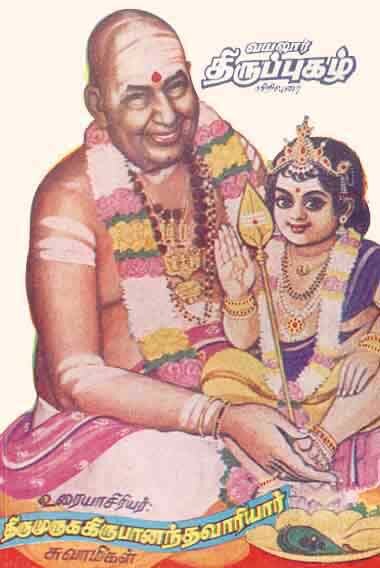 At a time when literary discourses in Tamil were looked down upon, Śrī Kripānanda Vāri gave a new orientation to them and demonstrated that bhakti was the tap root of Tamilian traditions. Soft spoken and humble, he is ever a student. The latest among his several commentaries is on Kamba Rāmāyanam and it is to be followed by an analysis of Villiputhurar Bhāratham . 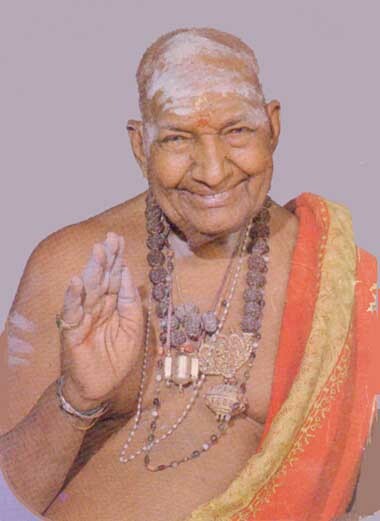 He has been the recipient of titles from Śrī Sankaracharya of Kanchi, the Jeer of Ahobila Mutt, the Dharmapuram and Madurai Adheenams and Swami Sivananda of Rishkesh. Śrī Kripānanda Vāri has toured Malaya and Ceylon [Note: and many, many other countries since this article was published in 1966], serving as our cultural ambassador.